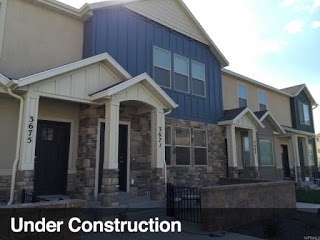 With currently 56 townhomes and 143 single family homes being built in the Eagle Mountain area, this may be the perfect place for you. Homes being built in Eagle Mountain are in various stages of completion. Some of these homes will be completed this month and others have yet to be started. The homes have various aspects that can be customized and changed. Both the townhomes and single-family homes being built very in lot size, square footage, and design. Give me a call and we can look at the available options in the area. My clients recently purchased this to-be-built townhome in Eagle Mountain. This townhouse will have 2400 square feet, 3 bedrooms, and 2 bathrooms. Included in the HOA are a playground, pool, clubhouse and gym room. Please contact me today if you think one of these homes might be a good fit for you.